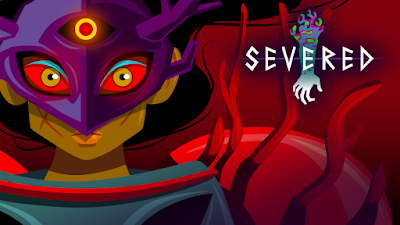 Severed is a game where you use the touch screen in a first person view to both navigate the world and swipe to attack. It's unique feature is that much of the game is about severing monster limbs. Not to mention that the setting is creepy but interesting. 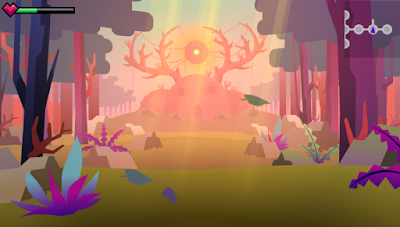 It's a cartoony game but it's stylized in a way that really works for it. Severed originally released for the Vita but it just came out on iOS for around $5, which is when I grabbed it. I had a lot of fun with it for a few hours just sinking into the world and getting a feel for the combat... but then things started to feel samey. The game is a fairly linear experience and there's almost no story or explanation after the initial premise. I felt like I needed more motivation to keep going. So, Severed will probably become a little mobile time waster for me now. Instead of sitting down with it for extended periods like I have been doing I'll probably play it in little five minute sessions to make progress. If any of this sounds interesting to you I recommend you check it out. Now that it's down to $5 it's easy to pick up and give it a shot.